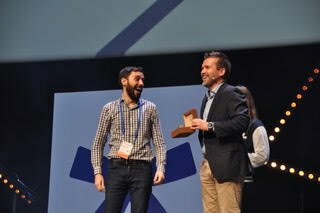 After three intense days of workshops, startup bootcamps, one-to-one mentoring and pitching, the winner of the 5th edition of the Seedstars Summit has finally been announced. The last day of the Summit has gathered more than 1000 people, excited to discover many different kind of innovations and technologies, the 67 startups selected in the best entrepreneurial ecosystems of the emerging markets and connect with different stakeholders. 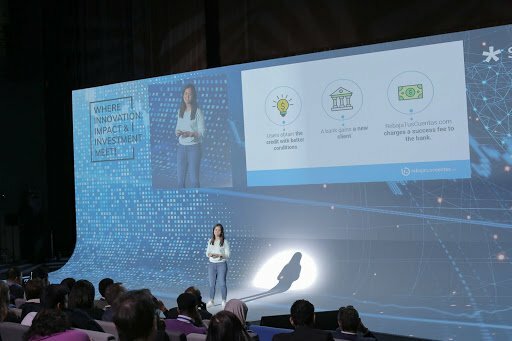 While the first half of the day was filled with workshops and startup pitching, the second half showed the scale of Seedstars with powerful speeches from 5 inspiring entrepreneurs from the emerging markets, the pitches of the twelve best startups selected among the 67 participating to the competition and the award ceremony. Here is what happened at this much awaited event. The morning of April, 12th started with 9 workshops covering various industries such as EdTech and Civic Tech. Seedstars' partners organized some of them, amongst which: the future of energy animated by Enel X, the internationalisation of startups animated by SPECo, Telecommunication and startups with GSMA, a FinTech open talk animated by AGEFI, Reproductive Health with Merck, Mobility with Continental. 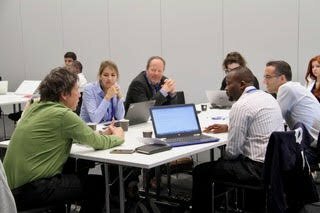 Investors, mentors, entrepreneurs, corporates and government representative exchanged, shared insights and debated about those burning topics for emerging markets. 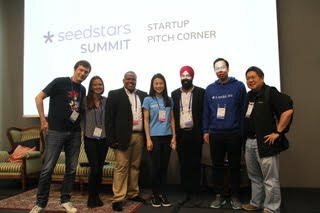 The Seedstars Summit Pitch Corner brought together 24 entrepreneurs from 14 different countries spanning 5 continents to pitch their startups to a panel of international investors and executive summit attendees. The first place price consisted of full access to all Seedstars Regional Summit, 6 months global membership at Seedspace as well as $80k worth of online tech credits and tech gadgets. The first place prize was awarded jointly to Meticuly and Hungry Hub, both from Thailand. The second place winner, KiWi from Switzerland, was awarded 3 months global Seedspace membership and $10k worth of online tech credits and tech gadgets. In third place came KITRO, a Swiss based startup that were awarded $10k worth of online tech credits and tech gadgets. Kiwi co-founder Christian Sinobas: "I’m very happy but I’m also very humbled and very impressed by the other companies. The Summit has brought the opportunity of talking to peers, it’s quality time with startups that work in the same sector as me. I’m being challenged and getting new ideas." Steffen, Internationalisation and Startups Lead EMEA at Google, delivered an insightful keynote about international growth when applied to startups. Steffen stressed the importance of diversity within the company, especially when you want to have an international audience. He particularly mentioned Europe and its fear of failing: "Get experimental, try new markets, failing should be seen as a good thing. Finally, we should always measure where we spend most of our daily time and ask ourselves the question: am I spending it on the right thing? Does it have an impact? Don’t undervalue your time and what you can do with it." The main stage at the Summit was opened with Alisée de Tonnac’s warm welcome and focus on how impact has gained momentum amongst entrepreneurs and investors. According to her, now "Impact can be profitable, doing good can actually make money". The first speaker, Gwendolyn Regina from Singapore, took the stage to talk about creating structure from chaos, how Asia embeds these words and how everybody needs to acknowledge this contradiction in order to understand the continent and to market a product there. Gwendolyn’s speech was followed by the first round of pitches. The finalist Asian startups had five minutes to pitch their ideas. First to pitch was Dr. Hondaker A. Mamun, Founder and Chairman at CMED from Bangladesh. CMED is an IoT enabled cloud based preventive healthcare platform that monitors health parameters, predicts health risks and reduces health cost. Next up was Metha Trisnawati, co-founder at Sayurbox from Indonesia. Sayurbox is an online platform providing high-quality fresh products from local farms. Finally, Alex Wicks, founder and CEO Kargo, from Myanmar took the stage. Kargo is the first online marketplace to bridge the gap between thousands of truck owners and emerging businesses. Taking the stage was Ehteshamuddin, co-founder and CEO at Junkbot from Bahrain. Junkbot is a DIY robotics kit which helps children to make their own robots and gadgets by recycling things around them such as cardboard, old CDs or plastic water bottle. Aliya Prokofyeva is the CEO at Galaktika. According to Aliya, "space should be available to all human beings, this is the mission of my company". Indeed, Aliya stated that many of earth’s problems could be solved with space missions. This pitch was followed by the next pitch from CEE. Anna Skrypka, co-founders and COO at Eve.calls from Ukraine. Eve.calls is an online SaaS platform that helps companies to sell, notify and survey their customers with an intelligent robot. First pitch from Latam was Marcelo França, CEO and Founder at Celcoin from Brazil. Celcoin turns any smartphone into a Utility payment Terminal for bill payments, recharges, among other services. This was followed by the pitch from Martin Mexia, CEO and co-founder at Payit, from Mexico. Payit is a secure payments platform concentrated on making it easy for people in Mexico – and soon Latin America – to pay all of their day to day expenses. Rebecca Enonchong is a Cameroonian born serial tech entrepreneur and founder and CEO of AppsTech and shared with the public her personal entrepreneurial journey. “To be an entrepreneur you have to be crazy. But to be an entrepreneur in Africa, you have to be raving mad!”. Rebecca is particularly very active on twitter! Francis A. Obirikorang, CEO and co-founder at AgroCenta from Ghana was the first. AgroCenta is an online sales platform that connects smallholder farmers directly to an online market which has wider geographical size, to sell their commodities. Up next was Yaseen Khan, CEO and Founder at Essential Medical Guidance from South Africa. EMGuidance solves a critical problem for medical professionals by aggregating medical content from regional experts in one app. 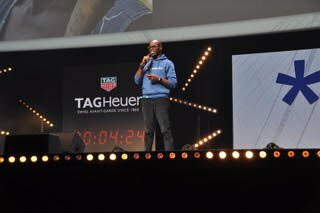 Pitching next was Alain Nteff, CEO and co-founder at GiftedMom from Cameroon. GiftedMom democratises health information access in emerging markets through an AI-based remote medical support platform. The final pitch for the day was by Vivian Nwakah, co-founder at Medsaf from Nigeria. Medsaf is a company that uses technology to make the process of buying and selling medication easy and efficient for hospitals and pharmacies worldwide. Gibran Huzaifah, CEO of eFishery then took the stage with a final speech about the importance of pivoting and how his company has changed between the time he participated in the Seedstars Summit competition in 2015 and today. The beauty of the Seedstars Summit lies in the journey of the startups, starting with the Bootcamp, the workshops, networking sessions and the investor forum. However, the prizes have always held a special place on the final day of every Seedstars Summit. Enel X provided the Energy Prize, a reward of $50K that was awarded to Solar Freeze, from Kenya. SolarFreeze is pioneering mobile cold storage units powered by renewable energy for rural small holder farmers, to help them reduce the huge challenge of post harvest loss in much of the developing world. In partnership with the School of Management of Fribourg and TRECC, the Transforming Education Prize of $50K was granted to EDVES from Nigeria. EDVES is an academic portal that automates operations in schools and colleges from admission to transcript generation. The FinTech prize was provided by BBVA Open Innovation. The winner of the $50K award was given to FinChat. Merck has provided the Healthcare Prize of $50K to EMGuidance. Tag Heuer has also awarded Alquilando the Time Saviour Prize, CMED the Innovation Prize, and Medsaf the Best Woman Entrepreneur Prize, along with Tag Heuer watches to each of the founders. 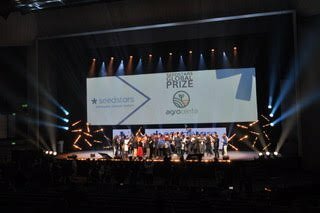 And finally, the winner of the Seedstars Summit 2018 was announced! 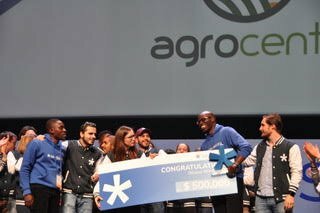 Winning the vote of the entire jury, AgroCenta from Ghana was crowned the Seedstars Global Winner of the 5th edition of Seedstars Summit! Phuong Phan Nguyen, COO and co-founder at Garastem, a company providing science and tech-kits in Vietnam : "We came here to find investors as we need money to boost the project. I met five investors today and just connected with a startup that wants to add AI to our robots." Alex Parnas, Director of Entrepreneurship at Centro De Innovacion: "I’m here looking to connect with other ambassadors, VCs, people working in incubators to give strength to the ecosystem. Entrepreneurship is crossborder nowadays". Eugène Schön, Community Manager at Innovaud: "There’s a lot of life, you feel you’re taken in charge. I talked to one of the speakers, Gwendolyn Regina, and I can see that she has a lot of personality." Sven Liden, investor and first time attending the summit : "It’s the first time that I meet companies from outside Europe, I want to learn more about what’s going on. The pitch contest was great fun and there are definitely a lot of great ideas". Many thanks to Jeanne Chaverot from Innovation Time magazine for providing this article.